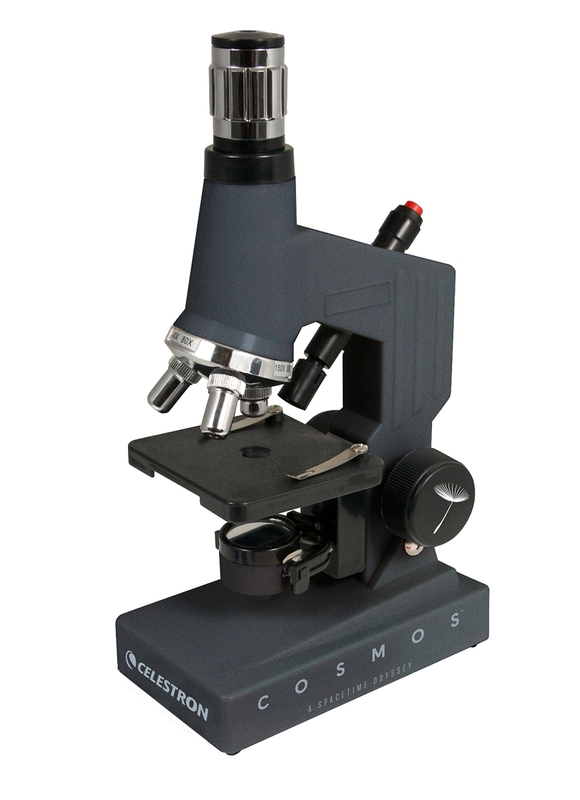 Reveal a hidden world with this biological microscope. This complete kit, created by Celestron and inspired by COSMOS: A SpaceTime Odyssey, will have you and your budding scientists experimenting in no time. Everything you’ll need to explore the microscopic world is included. This lightweight kit packs up for easy transport, so you can bring your microscope anywhere your explorations take you!